We are a successful media company working in the Not for Profit sector. We are seeking the skills of an experienced finance person to join our small, dynamic team as an Accounts / Administration Officer. Due to solid business growth we are currently recruiting for an experienced Accounts / Administration Officer to join our hardworking and fast paced team. This role is an exciting opportunity for someone seeking a part-time employment to join a well-known award- winning organisation with 20 years of history. Reporting to the Operations Manager, you will be responsible for assisting with the day to day financial and administrative functions of the business, to ensure uniformity of processes, practices and data integrity. The successful applicant needs to be self-motivated, display a friendly demeanour complimented by a professional phone etiquette. They will be required to have good time management, organisational skills and attention to detail. Knowledge of Salesforce CRM is desirable but training will be provided. The hours are flexible and can be split over several days but ability to work on Monday and Friday is essential. The number of hours can increase with business growth. This is a newly created temporary position but it can develop into a permanent role shortly after if the candidate performs well. We offer an easy going team-based environment in a great location with plenty of public transport options. Apply today to secure this great role! We are a successful media company working in the Not for Profit sector. 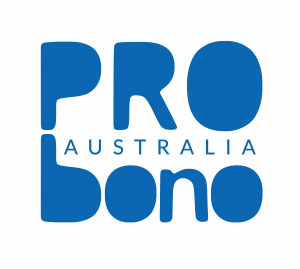 Please quote in application: Accounts / Administration Officer via Pro Bono Australia.